I have talked before about my love of a great statement piece. A piece so gorgeous it needs nothing else to go with it. 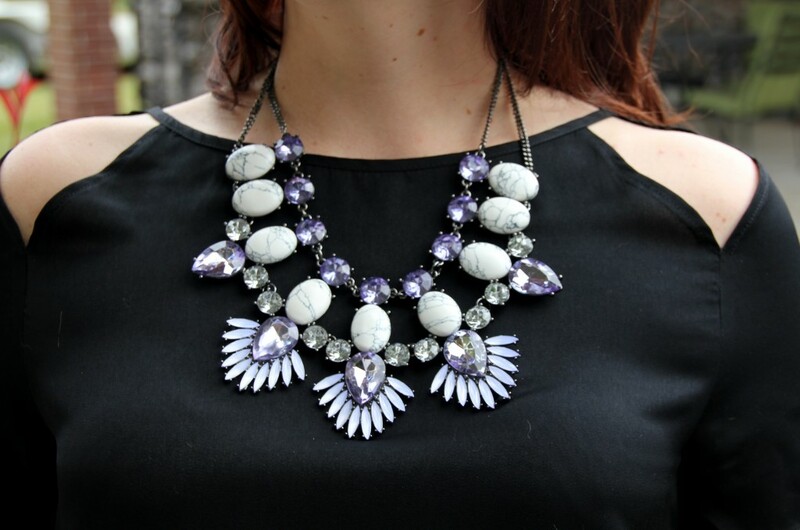 This necklace is the epitome of a statement necklace. I fell in love with it as soon as I saw it on Baublebar. To add to its beauty, 100% of the net proceeds from this necklace benefit the Leukemia and Lymphoma Society. 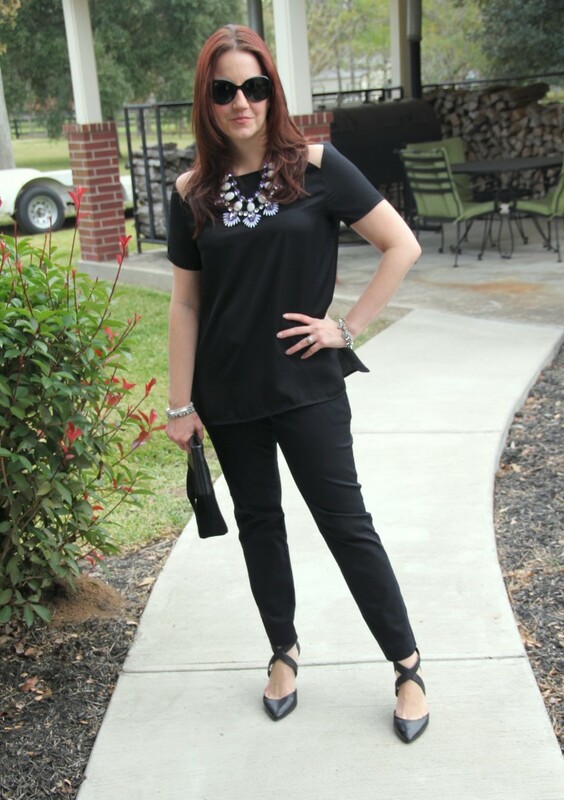 With a necklace this beautiful, I want to be sure it takes center stage so an all-black look was exactly what it needed. The colors of this necklace shine even brighter against the black top and really allow it to stand out. 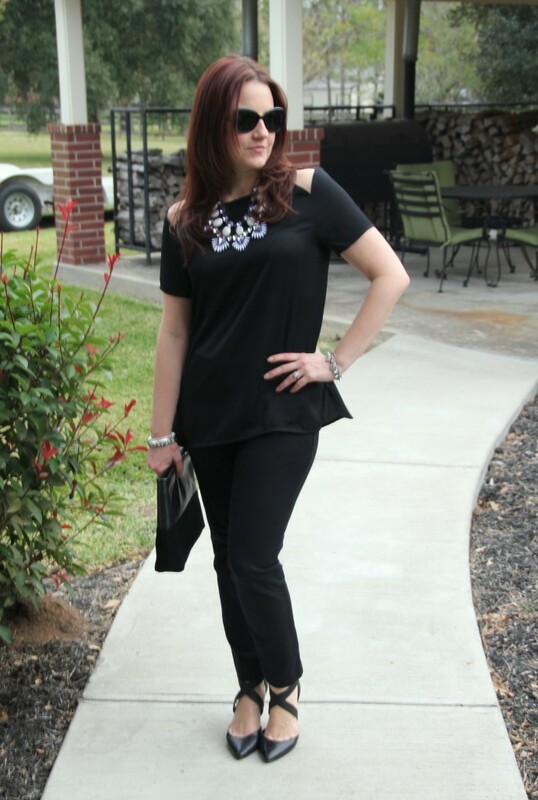 When adding a statement necklace, I try to keep all my other jewelry, especially my earrings, simple. 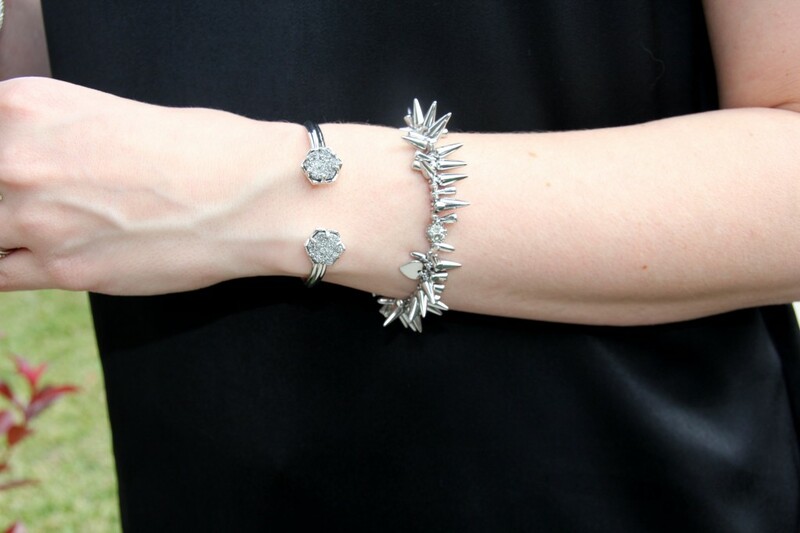 If you have too many beautiful statement pieces on at once, they will all be competing with one another. None of them will have the opportunity to truly shine. As Coco Chanel once said, “Before you leave the house, take a look in the mirror and take one thing off.” Great advice from a fashion icon. 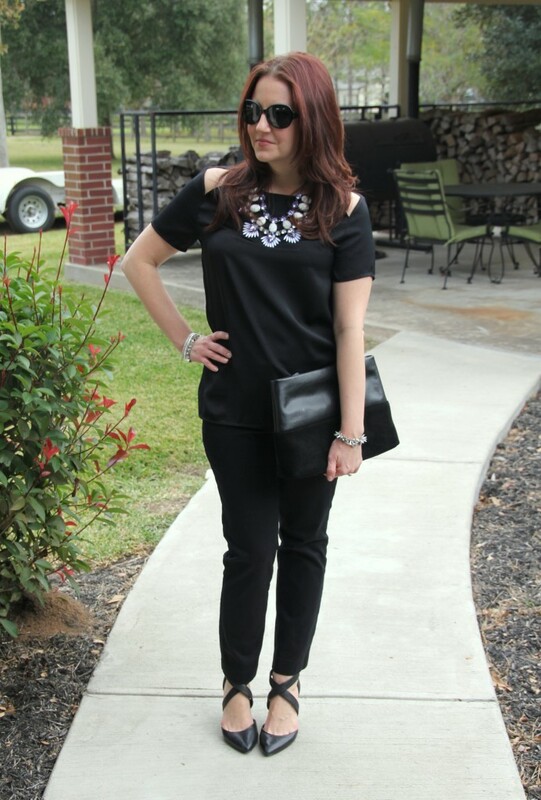 I loveeee the statement necklace and the statement shoes! 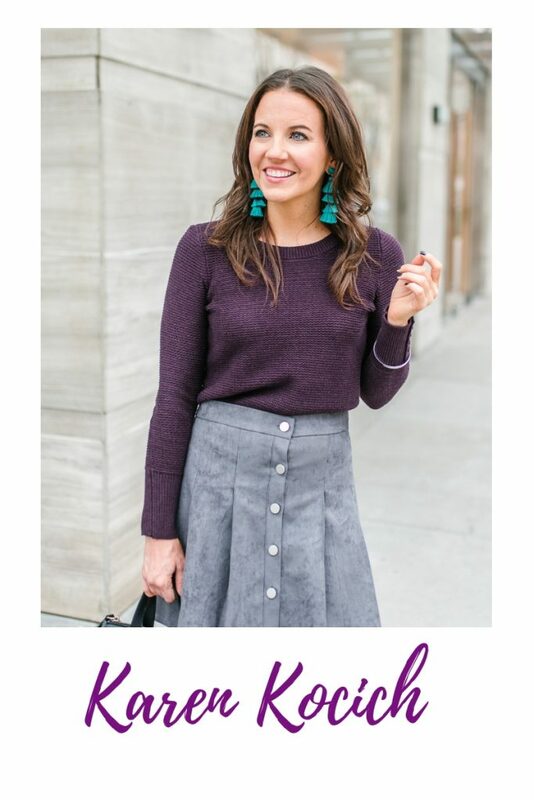 They are so fun and totally make this outfit even more classy! 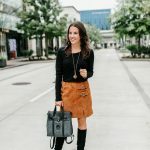 Thanks for joining J and me for the Celebrate Southern Linkup! Cheers! 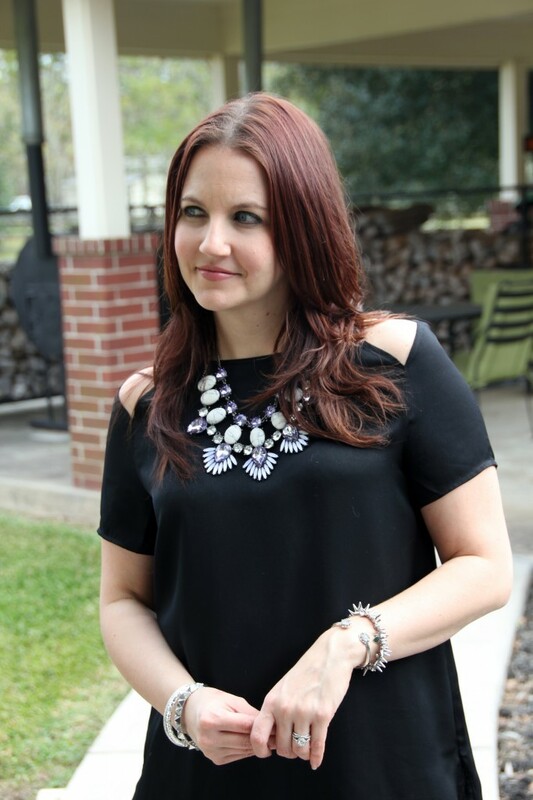 Statement necklaces are my favorite accessory! Yours is amazing and looks perfect with that all black outfit! 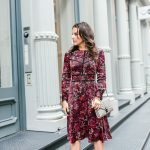 I love your blog and I followed you on bloglovin so I never miss a post! Great necklace and I also love the bracelets. Thanks for linking up and sharing!